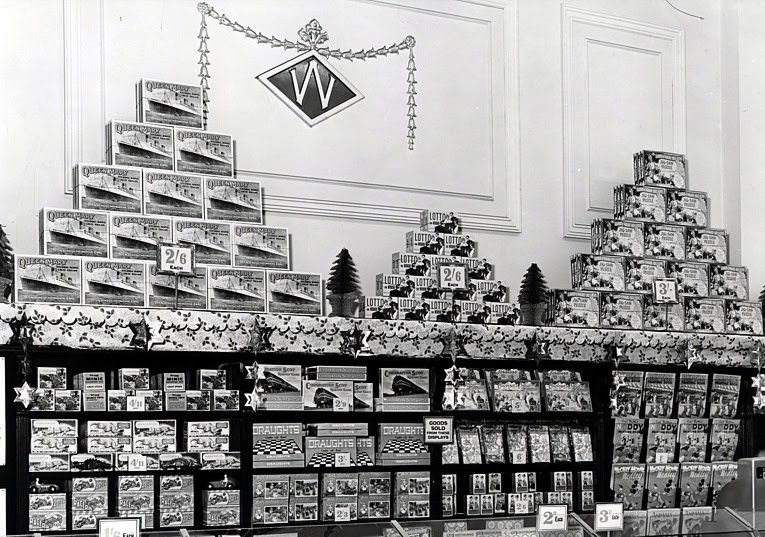 I was really excited when I found this photo from Woolworths in the 1950's. 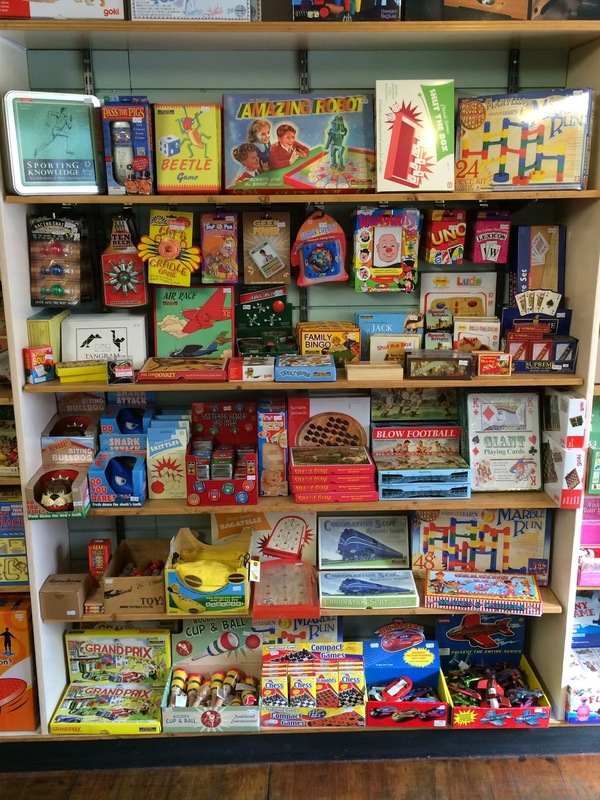 It shows a game that we still sell today called Cornonation Scot Railway Game. In those days it cost 2 shillings and 9 pence, today you can buy it for £8.99. The packaging hasn't change a bit as far as I can see!